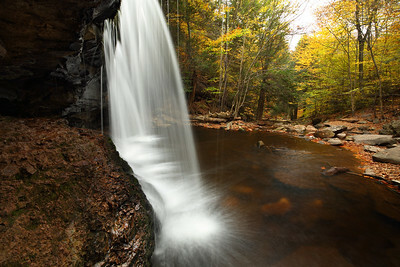 Hanging precariously on the edge of the rock with a hat protecting the camera from dripping water gave me one of my favorite sets of Ricketts Glen State Park images to date. 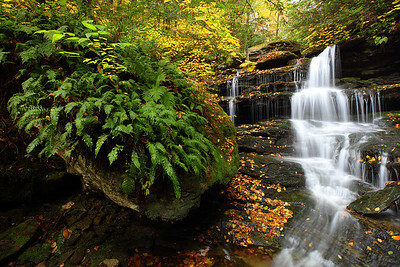 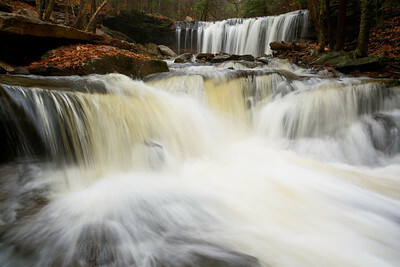 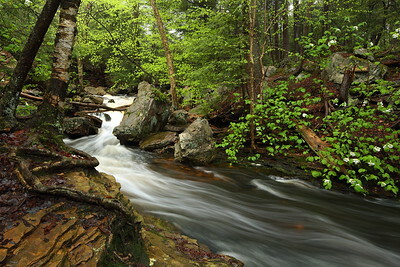 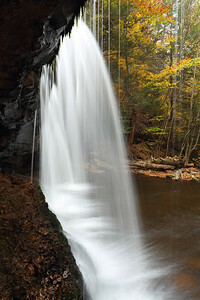 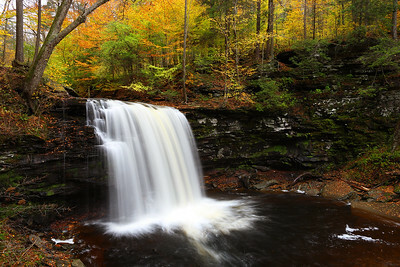 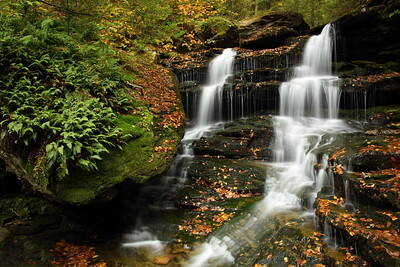 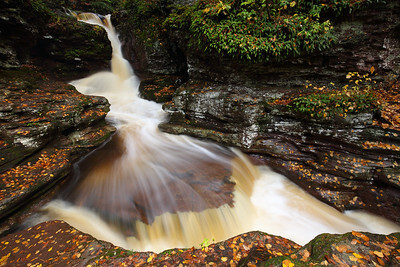 Adam's Falls is one of the easiest of the many Ricketts Glen State Park falls to access. 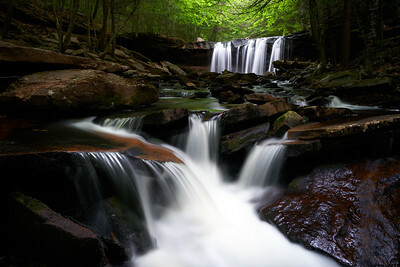 An intimate landscape scene found just above Mohawk Falls in Ricketts Glen State Park near Benton, PA.
Don't Forget to Look Down! 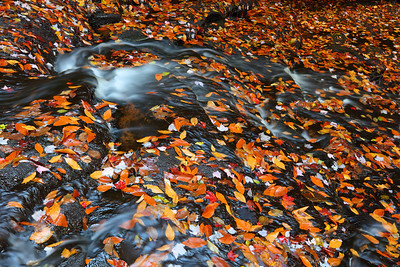 Sometimes the ground is more beautiful than the trees.